How is The Japanese Hair Straightening Treatment Done & How it Works? 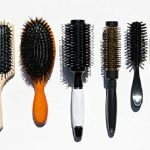 You cannot control what type of hair you are born with but now a days, there are many treatment options available that can be taken up to alter the texture of your hair, in a quick fix way. If you are a fan of straight hair, you must be knowing about Japanese hair straightening treatment also called as rebounding or thermal reconditioning & the Brazilian hair treatment called keratin smoothing. The Japanese hair straightening treatment is one of the very popular and commonly up taken method by girls who want to get their hair straightened. By means of this method of straightening, you can convert your curly or wavy hair locks into perfectly straight ones. Japanese hair straightening treatment must only be done by a very experienced hair stylist otherwise; it can ruin the quality of your hair. What are the Other Fancy Names for the Japanese Hair Treatment? It is called by a number of names, like: High-tech straight perm, Japanese straight perm, Straight perm, Rebonding, Thermal reconditioning, Thermal reconstruction, Thermal straightening, Bio ionic hair retexturising, Japanese iron straightening, and Thermal reconditioning. What Can You Expect the End Results to Be Like? How Long Can You Expect the Treatment to Last? This technique was initially started in Japan where it became a huge success and then spread to different parts of the world. 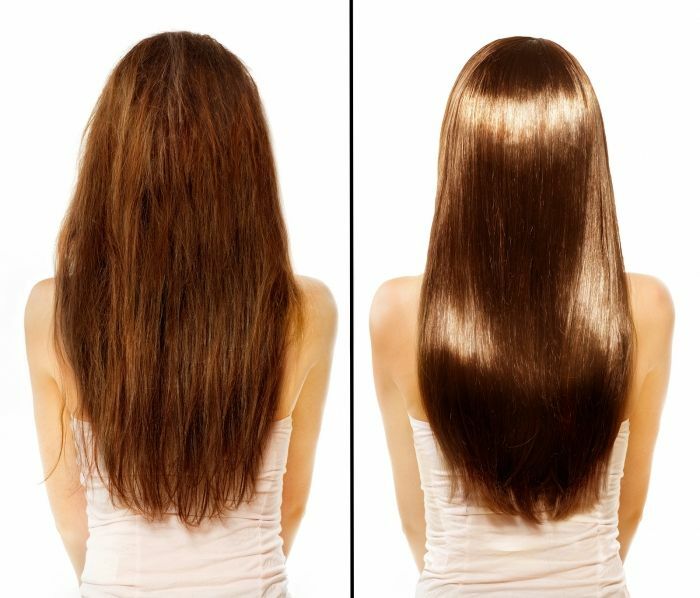 The Japanese hair straightening treatment is a dual purpose treatment that straightens as well as conditions your hair. In the Japanese Hair Straightening procedure, there occurs an alteration in the internal structure of the hair, permanently by breaking/ loosening of the cysteine protein bond of hair. The bonds are then realigned by straightening of hair cells. Japanese Hair Straightening treatment is done by means of a special, chemical solution. This straightening solution is applied to hair and left for some time. This chemical solution is lavishly applied on your hair, which breaks down the bonds of your hair. The hair begins to lose it’s wavy texture. It is then rinsed thoroughly with water and dries with a blow drier. Next, it is straightened section by section, with the help of a flat-iron, made out of ceramic to get that absolutely straight look. Thereafter, a neutralizer solution is applied to straightened hair locks. 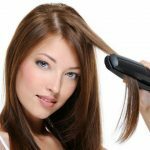 The entire series of action of Japanese hair straightening treatment is technique sensitive and time-consuming and needs to be done with a lot of patience. The entire treatment needs a couple of hours, say around 6 to 8 hours, on an average to conclude, depending upon the length, thickness and texture of your hair. After three days, there is another follow up session which again takes an hour or so to complete. If done right, your hair should look poker straight, shiny, soft, sleek, smooth and very manageable at the end of the treatment. You can expect the results of the Japanese hair treatment to last somewhere around 6 months to 1 year depending upon the quality of products used and your natural hair texture. The results of the Japanese hair treatment last longer than the Brazilian hair treatment, which is also known as Keratin smoothening. Any new hair growth would be in its natural texture only. 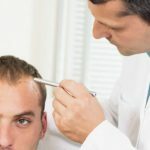 So, after an year or so, you can expect curly or wavy roots with relatively straight length of hair and then you might have to go for a re treatment for the new growth that has occurred. The end result also depends upon certain other chemical treatments that you might have got done in past like perming, coloring, highlights etc. So, always go to a well known stylist, with a number of years of experience in hair straightening. Always, ask questions on how many Japanese hair straightening has your hair stylist carried out and you can also ask for numbers of clients to know how satisfied they were with the treatment done by the hair stylist. After you have got the Japanese hair treatment done, you have to avoid washing your hair for three days, post treatment. Also you cannot pull them up in a ponytail or bun or even pin it up. Many hair stylists believe that you must not try coloring your hair after the Japanese hair straightening treatment as, after getting thermal reconditioning done, your hair grows very sensitive. While, there are another set of hair stylists who believe that coloring of hair can be done after a gap of one to two months, at least, after the Japanese hair straightening treatment as coloring changes the bonds of hair at a much milder level than hair straightening treatment does. You need to use special hair care products that are formulated for straight hair. Your mane has to be protected from sun at all times and has to be properly moisturized, too. 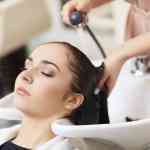 So, you might have to go for regular hot oil treatments and hair spa sessions to maintain the beauty of your hair. The results of Japanese hair reconditioning are longer lasting as compared to keratin smoothening. Keratin treatment coats your hair in a wrap of protein and hence smoothens it out rather than giving a pin straight look. 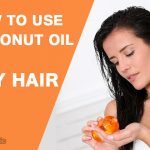 If you are fond of trying new hairstyles all the time, put in a lot of thought before going for hair straightening as curling your hair after the treatment might damage your newly treated hair. If you have a sensitive skin, chances are that your scalp is also sensitive and it might get irritated by the extensive use of all sorts of chemicals and intense heat resulting in hair fall. So, it is better to get a trial at a small patch of hair to see how your scalp and hair react to the straightening solutions. Lastly, you have to restrain from other chemical treatments like perming etc till your hair gets back to its normal texture. The Japanese hair straightening treatment is one of the very popular and commonly up taken method by girls who want to get their hair straightened.